Do you find yourself regularly browsing your favorite websites on your smartphone? Many people around the world are spending more and more time browsing on mobile devices as opposed to desktops. A good mobile browser has therefore become a key consideration when browsing the Internet. While there are many browsers on the Google Play Store, only a few provide an overall great experience. 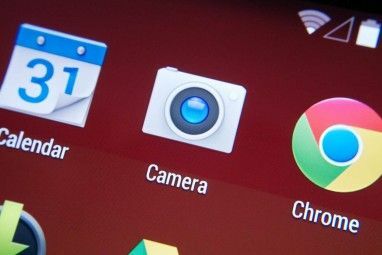 Here are five of the best browsers for Android. Chrome has direct support from Google and shows up on the features list. One of the best features is the ability to sync tabs across all devices. Chrome for Android is regularly updated and offers fixes on a consistent basis. Google has reputation for high quality products and they have not let us down with their browser. One box for both search and URL. Data compression in the latest version reduces data usage by up to 50%. Seamless synchronization with the Desktop version via your Google account. Can be rather slow on older phones. Bottom line: Chrome is ideal for anyone who uses the desktop version frequently and would like to sync with the mobile version. This way, you can access all your bookmarks and tabs on both mobile and desktop versions. The data compression feature is also useful if you are on a limited data plan or a plan that gets throttled once you reach certain bandwidth limits. It is regrettable that such a good browser is only available on Android 4.0 devices and higher. Sometimes you need an incredibly fast browser and you just don’t care about data usage. For those times, Maxthon is the perfect browser. Maxthon has been around for a long time but hasn’t been able to garner the type of attention it rightfully deserves. It is a fast and reliable browser with some nifty features which were covered in an earlier review by Jessica. Maxthon relies heavily on cloud-based services which makes the experience all the more user-friendly. Advanced gestures for navigation, you can actually customize and set your own gestures for tasks. Cloud tabs allow you to pick up right where you left off, regardless of the device you use. Reader Mode makes reading a lot easier by making the text prominent and removing ads. Runs a little slow on older devices, which is expected. Uses a little more data than other browsers out there, recommended for unlimited data plans or Wi-Fi connectivity. Bottom line: With Maxthon, the cloud tabs are a great feature if you use several different devices in a day. So if you are constantly shifting between your smartphone and tablet, Maxthon is definitely the browser for you. The distraction-free reading mode is also ideal when you want to focus your attention on some important text. However, if you are on a limited data plan, you may want to consider another browser due to the high bandwidth usage. Opera Browser is the best browser to have if you have a limited data plan. The Off-Road mode compresses data, reducing your usage and making Opera one of the fastest Android browsers. Many of the cool Opera features found in the desktop version are also available in the Android browser. Data compression conserves your data plan. Compresses images to save bandwidth. Off-Road mode allows you to stay online even when the connection is slow or congested. Separate download window to track and pause. Some videos won’t open in-browser. The latest browser is not compatible with older devices. Bottom line: The best feature of Opera is the Off-Road mode. Opera is the ideal browser when traveling to remote areas with shaky Internet or when you are in a congested network area. 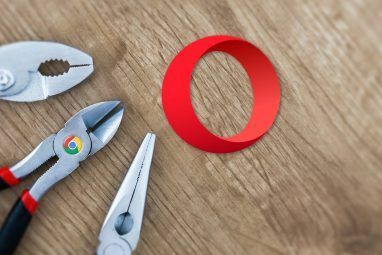 Apart from Chrome for Android, Opera is also the only other popular browser to use data compression to save on bandwidth. In some cases, data savings can be as high as 85%. Firefox is the on most popular desktop browser. The desktop version is very stable and can handle anything you throw at it. 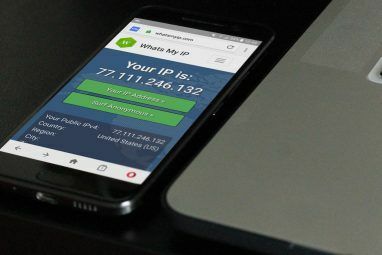 While the Android version comes with a host of features fans are accustomed to, it lacks the stability needed to match the popularity of the desktop version. The Firefox browser for Android is fast, there is no doubt about that, but it is also resource hungry. Great user interface which makes browsing a breeze. Incredible load times, even for heavy sites. Has support for WebRTC to match Chrome and Opera. Supports almost all video formats and runs them well. Sync it with your PC for seamless experience. Becomes unresponsive sometimes on slower devices. Is not stable on every device. Crashes are frequent with increased loads. Bottom line: With the exception of Chrome and Opera, Firefox is the only other browser in this list to offer Web Real-Time Communication (WebRTC) which enables P2P file sharing, video chat and voice calling all without the need for plugins. The user interface is aesthetically pleasing; one of the best looking browsers no doubt. However, it crashed a few times in tests and hanged on slower devices. This is one of the most robust browsers on Google Play, with millions of fans. Tina wrote about Dolphin Dolphin Browser HD - Fast & Elegant Mobile Browsing On Your Android Dolphin Browser HD - Fast & Elegant Mobile Browsing On Your Android Dolphin Browser HD is a mobile browser for Android 2.0.1 and up. With over 250,000 downloads, it is the most popular browser on the Android market. The browser supports flash, HTML5, navigation with gestures and... Read More back in 2011 when it had slightly over 250,000 downloads. The browser was the first to introduce gesture-based navigation which made web surfing a fast and easy experience. It was designed for touch screen devices from the ground up and it clearly shows this in its simple yet great looking design. Gestures allow you to associate sites with symbols. The Sonar feature allows you to voice search, very useful if you have your hands full. Themes make the Dolphin Browser customizable according to your taste. Wi-Fi broadcasting allows you to share links with friends on the same Wi-Fi network. Compatible with Android 2.0.1 devices. Can stutter from time to time on low end devices. Bottom line: As far as features are concerned, Dolphin goes beyond the call of duty. If you are in a profession where you are very busy with your hands, you will definitely find the voice search useful. The unique gesture support is also a real time saver especially for busy professionals. For example, you could draw a face to access Facebook or flick the screen to visit Flickr. There are many other quality browsers but these are some of the best; they have great ratings and a huge following. The beauty of Android is in the wide range of choices available. It’s tough to come to a conclusion on which of these browsers is king because it really all depends on individual browsing habits, feature preferences and the Android version you are running. If I had to make a choice, I would probably settle on Chrome due to the fact I have used Chrome desktop for a while. In the process, I got attached to its nimbleness. The fact that I can synchronize my Android browser with the desktop version is a real plus. The cherry on top with Chrome is the data compression feature that can reduce data usage by over 50% and significantly improve page loading times. The only other browser with this feature is Opera browser for Android which would be my second choice. But, like I said, all of these browsers are excellent choices and at the end of the day it comes down to personal preference. Which is your best Android browser? 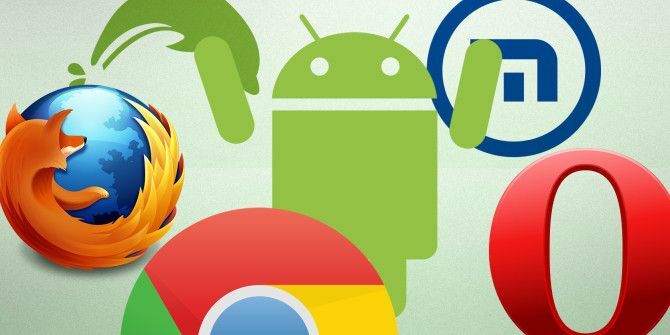 Do you agree that these are the best Android browsers? Tell us of your experiences in the comments below. Explore more about: Dolphin Browser, Opera Browser. Maybe I'm paranoid, I try to avoid apps from China... if there are good enough alternatives, as comments here suggested some browsers asking for too many permissions. I think Naked Browser just might be the perfect thing for people who still have older/low-end devices. Not only is it the fastest browser, but it is also the most light-weight browser I've ever used. Give it a try, don't let the logo and the name confuse you. I am not a fan of the popular browsers, the paid version of the Puffin Browsers is the best for me. First, it is light in terms of resources, probably one of the lightest. Second it is very user friendly and and has a clean interface. What about flash support on newer Android devices? After trying all the big ones I use use Naked Browser. It's the quickest ! Not the smartest, for sure but the most efficient, without any doubt. Not to mention, it's the less curious of all ! I've started to use Next Browser, which has good support for extensions. Next Browser exists only to collect information on you. At least two of the apps on this list--Dolphin and Maxthon--are spyware. Look at the permissions. No one should recommend filth like these. @Anonymous, you clearly don't have a full understanding of what the permissions in Android even mean. Until then, instead of just declaring all browsers to be spyware, perhaps you could let us know what browser YOU have determined to be safe for us all. Boat is spyware, asking with Dolphin/Maxthon/UC/Next and others. Just look at the permission requirements. chrome is far faster and user friendly the the others on this page. although if you want addons go with Firefox. I totally agree with you on that though that may change once extensions are supported in Chrome. Opera works great for 2G/poor data connection. I really also like Puffin since it renders the page on their server allowing flash and some other content that Android struggles with to work easily. I think it may support Java as well, but I'm not positive. Chrome is great for use on Wifi or fast cell networks. You need to note that Firefox for Android has a growing list of supported extensions, such as AdBlock, to customize and improve the browser experience (and increase resource utilization, of course). Next Browser is spyware. Look at the permissions. Anything by GO Dev team is crap that only exists to collect your information. Heard about Dolphin sending user URLs to their servers. Privacy issue. Hi David, that article was written in 2011. I'm not sure if that's still the case. They now encrypt the data that they phone home so Dolphin still spys on you. Dolphin's devs just figured out how to make it so you would never be able to tell what information they are collecting. Dolphin is garbage and should not be recommended. Horrible spyware. Just look at the permissions. Send all of your traffic through their servers and has intrusive permission requirements. I use chrome on my phone because I use chrome on my laptop aswell, so I can sync all my fav's / tabs. You are using and recommending spyware. Boat is garbage. Opera. Works great for tablets, and still pretty decent on smartphones. There's even the "Mini" for low end phones and feature phones that can run JAR programs. Yes, I believe out of this list Opera is the most compatible with a wide range of devices like you say. I was expecting BOAT, UC. None there. Surprised! you have Opera and Maxthon instead. Boat is also quite good but it didn't make the shortlist. If opera could make it, BOAT could have. don't understand where it falls short. I have used Chrome,Firefox, Dolphin, UC, Boat. Chrome just juices your battery. Firefox is slow and interface is not good. Dolphin is superb but somehow everything opening in a new new tab is too navigation unfriendly. Boat, Dolphin, Maxthon, UC Browser are all spyware. Look at the permissions. Thanks Anonymous for the insight. I had recently stopped looking at the permissions we grant while installing the app. UC Browser is spyware. Just look at the permissions.